Here are a couple of amazing, inspirational, & handmade projects! When it's this cold outside, I like to remind myself of cool summer evenings outside by a fire & YES, the above is a picture of a DIY fireplace!! It was made during a segment of Steven & Chris, one of the funniest/best decorating/day time talk shows ever! I was a little skeptical at first, but the thorough instructions & the fact that it was featured on a decorating show make me feel like this could be a really neat outdoor summer project?! I love this captain's mirror video tutorial from House & Home. It only takes a little hot glue, a few belts & a round mirror, but it looks so chic & expensive...I love it! 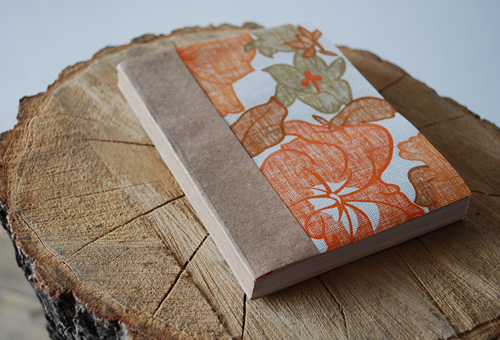 I'm a big fan of bookbinding & handmade books, remember my idea book tutorial, so anytime I find anything book-making-related I automatically love it! I've actually used this tutorial to make a Perfectly Bound Book by Bookhou on Poppytalk for Christmas presents for my mom & dad. The tutorial was super easy to follow & the end result looked great!! 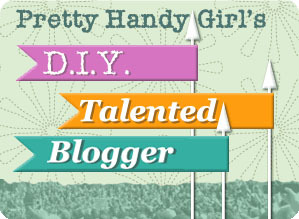 I CANNOT wait until school is over & can get DIY-ing like mad! The DIY fireplace looks awesome !! I would really like to try that one !! And maybe I will !! Thanks for sharing it ! !